Lena Zavaroni – Scottish singer and a television show host. 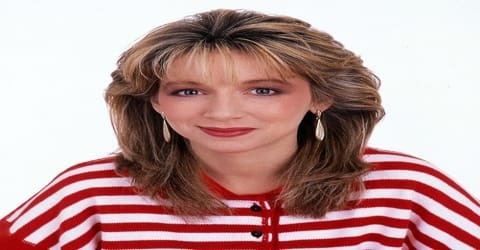 An extraordinarily talented Scottish singer whose greatest claim to fame is becoming the youngest artist with a record in the top 10 ‘UK Albums Chart’, Lena Zavaroni was born on 4 November 1963 in Greenock, Renfrewshire, UK and grew up in the small town of Rothesay on the Isle of Bute. At ten years of age, with her album Ma! (He’s Making Eyes At Me), she was the youngest person in history to have an album in the top ten of the UK Albums Chart. Later in life, she hosted television shows and appeared on stage. From the age of thirteen, Zavaroni had anorexia nervosa and also developed clinical depression when she was fifteen. However, her scintillating professional career came under severe strain when she began showing symptoms of anorexia nervosa a grave eating disorder that tormented her until her death prematurely at 34. Zavaroni was diagnosed with clinical depression when she was 15 and spent the better part of her remaining years shifting in and out of hospitals. The separation of her parents and her mother’s suicide, just months after her marriage made her a near invalid as the twin afflictions of depression and anorexia became more pronounced. She succumbed to bronchial pneumonia after suffering from a chest infection, following an operation in University Hospital of Wales in Cardiff. Lena Zavaroni perfectly embodies the devastating effects of early stardom and excessive public as well as media attention. Zavaroni died at the age of thirty-five from pneumonia following an operation to cure her depression on 1 October 1999. Lena Zavaroni, by name of Lena Hilda Zavaroni, was born on 4 November 1963 in Renfrewshire County of Scotland to a family with Italian-Scottish roots. Her father, Victor Zavaroni, who hailed from Genoa, was an accordionist, and her mother, Hilda, was a singer. Her parents owned ‘Zavaroni’s’, a fish and chip café in Rothesay town in the Isle of Bute. Zavaroni began singing at age two and often performed together with her father in local clubs during her childhood. Her grandfather Alfredo had emigrated from Italy. While Zavaroni was still only nine years old, she was heard singing in the Athletic Bar on the island by record producer Tommy Scott, who happened to be on vacation at the time. He recommended her to the impresario Phil Solomon, who had been looking for a young girl singer. Despite her age, he immediately spotted a rare talent and brought her down to London to appear on national television in the talent show ‘Opportunity Knocks’, on which she topped the viewers’ voting poll five weeks running. Zavaroni was so overawed by the transitioning from her Scottish council home to the stately home of the Solomons’ in London that she became somewhat disconcerted. She confessed to having been overwhelmed by the cosmopolitan setting of and fast-paced life in London, compared to the tranquil bucolic environment in Rothesay. She developed an inferiority complex when she found herself attending ballet classes (at the Italia Conti Stage School) alongside teenage girls who were taller and slimmer than her. She began feeling guilty about her small stature and corpulence and believed that eating less would slim her down, automatically making her appear taller. Lena Zavaroni married her boyfriend, Peter Wiltshire, a computer professional in 1989 when she was 26. She was popping anti-depressants chronically and indisposed to work on a regular basis. They broke up after 18 months as Peter found it difficult to cope with Lena’s withdrawn demeanor and reclusive way of life. Her mother Hilda committed suicide in the same year in which Lena married, succumbing to an overdose of tranquilizers. Following her divorce, Lena shifted to Hertfordshire, putting up in a municipal flat, so that she could be close to her father who had remarried. In the following years, she survived solely on state doles. Zavaroni had to undergo electroconvulsive therapy (ECT) and take several psychiatric medications in order to cope with her depression. She pleaded with the physicians to treat her depression, and in 1999, she was admitted in ‘University Hospital of Wales in Cardiff’ for a neurosurgical operation in order to treat her mental disorder. As a 13-year old, Zavaroni was diagnosed with anorexia nervosa and her weight plummeted to 25 kg while training at ballet school. She firmly believed that the compulsion to put on tight fitting ballet costumes was behind her abnormal weight loss. 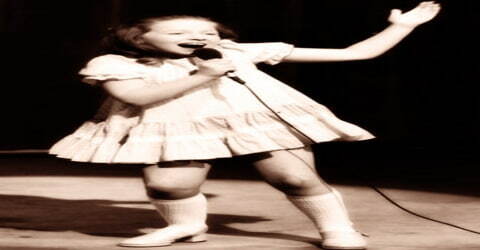 She was admitted to a hospital in Glasgow at the age of 16 by which time she had appeared in a variety of live events, TV shows, pantomimes, and concerts. She lost her status and popularity as a child sensation, spending the rest of her life moving in and out of hospices. Lena Zavaroni was discovered in the summer of 1973 by record producer Tommy Scott, who was on holiday in Rothesay and heard her singing in a band with her father and uncle. Scott contacted impresario Phil Solomon, which led to his partner Dorothy Solomon becoming Zavaroni’s manager. Lena’s auditioning for the Hughie Green show ‘Opportunity Knocks’ was immensely successful as she was declared the winner in five consecutive events of the program in 1974. Soon after, an album of hers named ‘Ma! He’s Making Eyes At Me’, which was an anthology of classic pop numbers, was released. Early in 1974, her recording of the 1950s Johnny Otis hit “Ma He’s Making Eyes at Me” was released and hit the Top Ten, quickly followed by the album Ma, which also reached the Top Ten, peaking at number eight. Because of this chart success, she became the youngest singer to date to appear on the pop program Top of the Pops, and by Easter 1974 Zavaroni had her first live performance in front of a major audience at the Blackpool Opera House and an appearance in a Hollywood charity show that starred Frank Sinatra and Lucille Ball. Fast becoming a worldwide star, she also appeared on The Carol Burnett Show on TV, sharing a dressing room with Liza Minnelli. By 1975 and with Zavaroni only 11 years old, her single had been successful in many countries throughout Europe and Japan. Following the release of her album, Zavaroni dropped out of primary school and shifted to London to take admission in Italia Conti Stage School owned by Philip Solomon and Dorothy Solomon. She trained in ballet under the guidance of the Solomons and lived with them. Zavaroni performed at a charity event in Hollywood alongside Lucille Ball and Frank Sinatra in 1974. Thereafter, she made a guest appearance in ‘The Carol Burnett Show’ followed by singing performances in ‘The Morecambe and Wise Show’ and the ‘Royal Variety Show’ where she performed for the queen. Zavaroni also sang at a Hollywood charity show with Frank Sinatra and Lucille Ball in 1974, at which Ball commented, “You’re special. Very special and very, very good,” although some sources attribute the words to Sinatra. She also appeared on The Morecambe and Wise Show, in the 1976 Royal Variety Show and performed at the White House for US President Gerald Ford. Signed to the soul-oriented Stax Records label in the United States, Zavaroni was not widely popular in America, despite the praise and television appearances; her Ma album was not listed in the popularity charts, and its title single only reached 91st position on the Billboard Hot 100 during a four-week chart run in the summer of 1974. Lena Zavaroni, despite appearing in a string of television shows and programs in the USA, and performing in live concerts, remained largely unpopular in America. Her debut album was not even listed in the popular record or music charts like ‘Billboard Hot 100’ or the ‘Mainstream Top 40’. Her own TV show, Lena Zavaroni on Broadway, was chosen for the 1978 Golden Sea Swallow Festival, where it won the silver award, but dark clouds were already on the horizon Zavaroni was growing up and developing into a woman, and no longer seemed to be such a cute kid. When the media had described her as “cuddly,” she took it to heart, and no longer able to fit into the children’s clothes she was expected to wear on TV and on-stage, she developed anorexia nervosa. In 1979 Zavaroni had her own TV series on the BBC called Lena Zavaroni and Music, and from 1980-82 she had a TV series, Lena. She was again featured in another BBC series, ‘Lena’ in 1980, whose format was the same as ‘Lena Zavaroni and Music’, and ran for 3 seasons with 18 episodes in total. At age 15 in the summer of 1979, Zavaroni returned to her home in Rothesay and was looking thin and gaunt, and spent her 16th birthday at the general hospital in Glasgow with an upset stomach and a general feeling of listlessness. The trips to the hospital continued throughout the ’80s, stopping her from working for long periods, and although she attempted a comeback at Blackpool in a summer season in 1985, she was forced to stop working again due to continued weight loss and illness the following year. Attempting to lead a normal life, she married Peter Wiltshire in September 1989 but the marriage only lasted 18 months, and it was also around this time that her mother, who had developed a problem with alcohol, committed suicide. Lena Zavaroni spent most of the ’90s in various rehabilitation clinics but nothing seemed to give her any happiness, and her weight at times dropped to less than 60 lbs. In September 1999 Lena Zavaroni was admitted to University Hospital of Wales in Cardiff for the psychosurgical operation. It was described as “pioneering”. After the operation, she appeared to be in satisfactory condition and after a week she was “making telephone calls, cheerful and engaging in conversation,” even asking her doctor if he thought there was any chance that she would get back on stage and sing again. However, three weeks after the operation, Zavaroni developed a chest infection and died from bronchial pneumonia on 1st October. 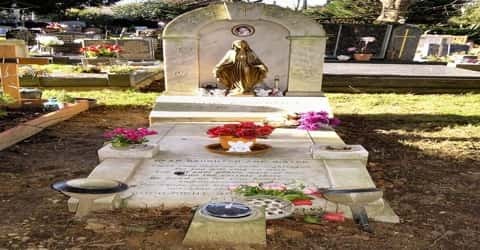 She was interred in Hoddesdon Cemetery in Hertfordshire. 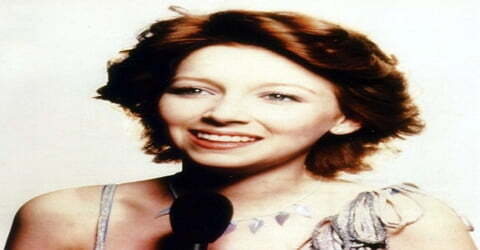 Lena Zavaroni, a budding singer whose life was unfortunately cut short by her premature demise, released a total of 8 albums in her professional career lasting for 13 years from 1974 to 1986. Some of Lena’s notable albums include her debut record, ‘Ma! (He’s Making Eyes At Me) released by Philips Records in 1974, ‘If My Friends Could See Me Now’, and ‘Lena Zavaroni in South Africa’.